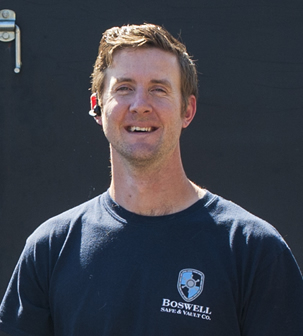 Home - Boswell Safes & Vault Co.
My name is Curtis Boswell and I am the owner of Boswell Safe and Vault, Inc. I want to thank you for giving us a chance to earn your business. We are a family-run and family-operated company that specializes in safe moving and relocation as well as vault construction and removals. Our family has been in the safe industry for over 20 years. We move 1100-1300 safes per year and are experts in our industry. We do the simple move, your safe from one room to another to complicated moves involving months of planning and coordinating with multiple different trades on the jobsite. We cover most of Southern California including Riverside, ​ San Bernardino, San Diego, Orange County, LA County and parts of Ventura County. We keep our rates very competitive and strive to provide accurate and timely communication. We only use in-house staff, I only hire off personal reference, not just hiring anyone off a ad listing. We take your privacy and security very serious. Please take some time to look through our gallery and see what we are capable of. Also, check out the testimonials of our previous customers. When you are ready for a quote, please call or use our “Contact Us” form.